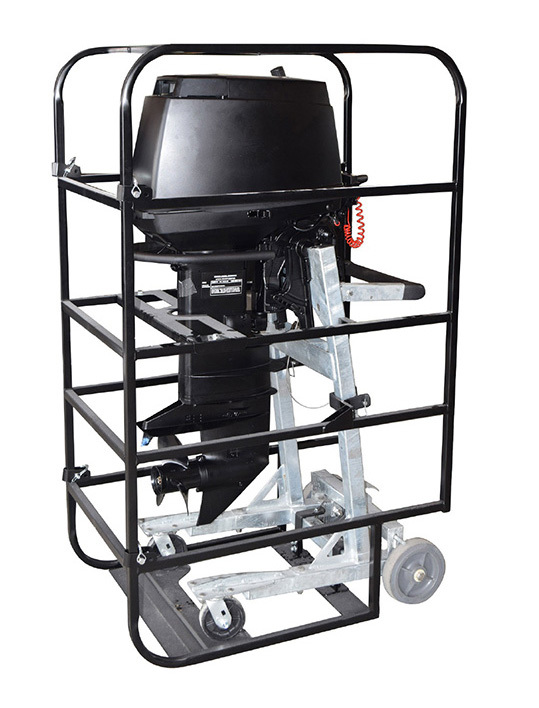 Raider Transportation System is designed to transport or store a Raider 40 or 50 HP outboard engine on a Raider Cart (P/N RO-TC-A18-001) and Raider Transportation Cage (P/N RO-TR-A18-002). The transportation system includes both Part Numbers. The design allows interconnection of multiple outboards on C-130/C-117 a/c. 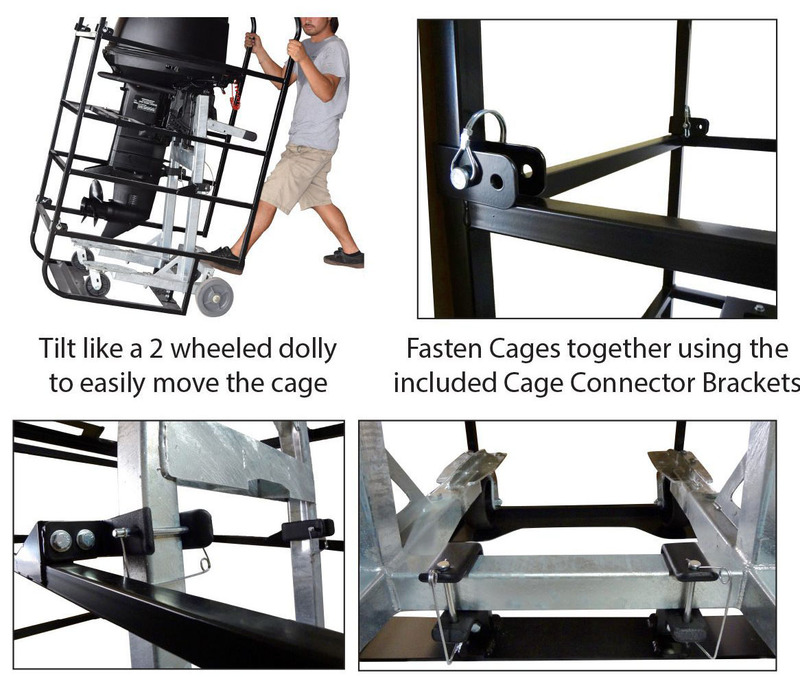 The Transportation cart was designed to move Raider 40 or 50 HP outboards around the shop. 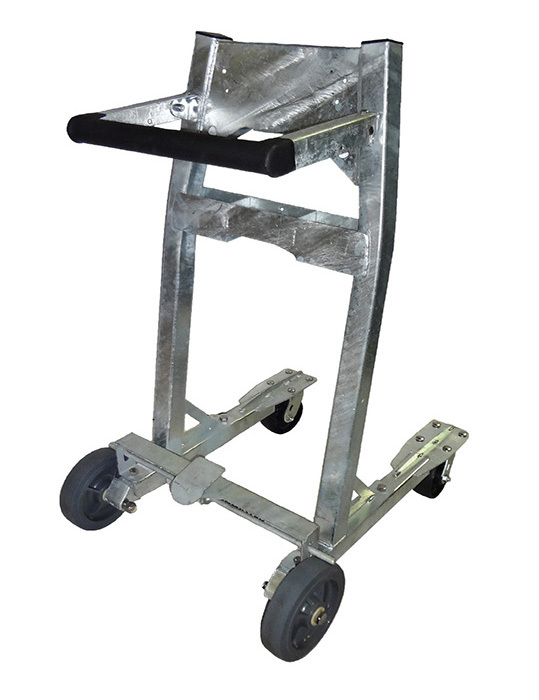 The Raider carts feature a brake system, easy maneuverability & the outboard engine is at height to perform maintenance while mounted on cart. A unit that holds the lower unit when changing the rubber impeller can be purchased separately.